Courtesy of Fonville Morisey/Lochmere Sales Office, Meredith Kisner. 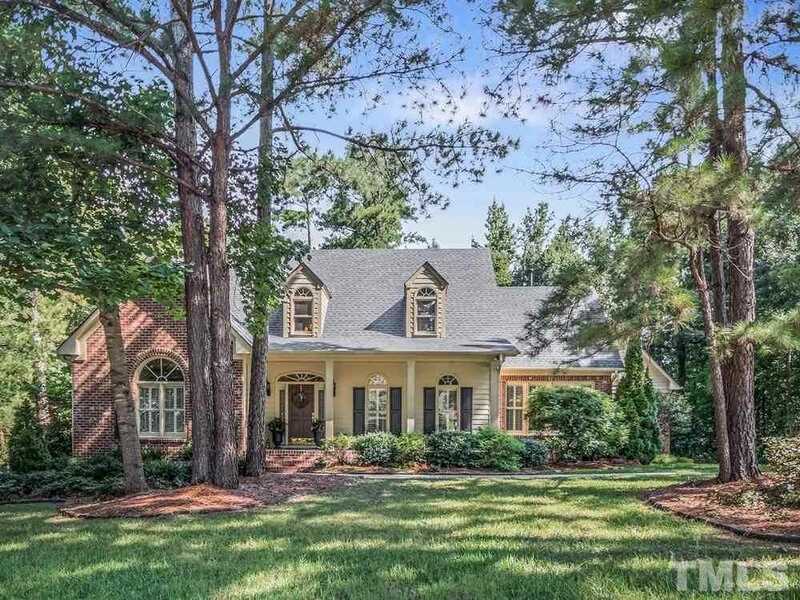 The classic charm of this Quality ALL Brick Custom Beauty in highly desirable Preston Village won’t disappoint. An entertainer’s dream w spacious rooms that flow & bring the outdoors in on several southern porches/decks. This FIRST FLOOR MASTER home is move in ready w NEW roof, site finished hardwoods, extensive trim, designer interior paint, fabulous lighting, updated gourmet kitchen & baths. Half ACRE Private lot on culdesac street. Directions: From High House Road take Davis Drive North to Preston Village Way and turn left. Turn right onto Draymore. Home will be at the end of the road in the cul-de-sac on the right. Welcome Home!